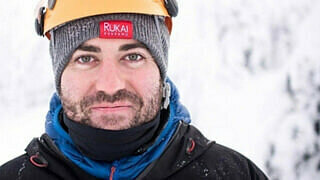 I like to reveal hidden secrets here on Travel Dave and when it comes to getting your phone connected in the UK, I have the ultimate cheapest solution for you whilst on your travels. Why will you not hear about them in a shop? 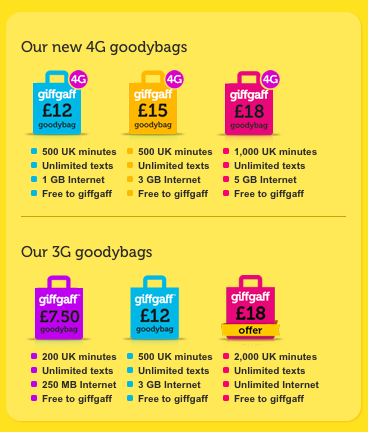 GiffGaff is a new concept for connecting your phone, sort of like a budget airline, it cuts out all the unnecessary things you would typically need which is normally associated with a phone provider service and then passes on the savings to you instead. That’s right, you won’t find a GiffGaff shop, You won’t find a call center to ask for advice and you won’t find any expensive marketing campaign to help you hear about them. That’s why their marketing is mostly done by word of mouth from its happy customers that enjoy using this low cost service and that’s partly why I’m writing this blog post too, to help you hear about it so you can grab the savings also. Because there are no GiffGaff stores around the UK, in order to get a free SIM card you must apply for one online and they will post one to you, either in Normal/micro/nano form, what ever SIM card type fits your phone. If you seek help or support you can use the free forum to ask the information you require, its very helpful and members of the public can gain free call credit by helping you with your enquirery, this means you will get a response pretty fast, most of the questions are already answered in the forum and all you need to do is put in a simple search with your question to find an answer in most cases. All top ups are done online. I’ve been using GiffGaff for the past 4 years and they have been perfectly fine, I’ve never had an issue using them. No need for a contract and you don’t have to be from the UK either, its very easy to set up a GiffGaff SIM card and works in almost all unlocked phones. If you like you can top up credit and call away, but the real value is within buying a bundle. As you can see, you have many bundle options to choose from depending if you wish to use 4G or 3G data speed. For £12 a month, you can get 3GB of 3G Data, unlimited texts, Fre GiffGaff to GiffGaff calls (perfect if you’re travelling with a friend, they can get one too for free calls) 500 call time minutes in UK to use. If you want an affordable data plan, this is a fantastic price to easily get connected to the 3G data network in the United Kingdom. But you can only get one by post? Not to worry, the moment you have booked your first night stay in the UK you can post the free GiffGaff SIM card to your hostel address, this means it will be waiting for you when you arrive. Super! Just make sure you allow some time for the GiffGaff SIM card to be sent to your hostel in time, a week should be enough time. Want to order one for yourself? Fantastic! As I’m part of the GiffGaff community we can help each other out by using my refferal link, Not only will you get a free GiffGaff SIM card sent to any UK address for free, you will also get £5 free call time credit to use when you sign up, Simply go to GiffGaff SIM card to sign up and your all set! Thank you for checking out this blog post, I hope you have a fantastic time exploring the UK and I hope you enjoy your new free GiffGaff SIM card data roaming plan, cheer!